If you offer wedding photography services many of your clients may be interested in custom thank you cards to send to their guests. 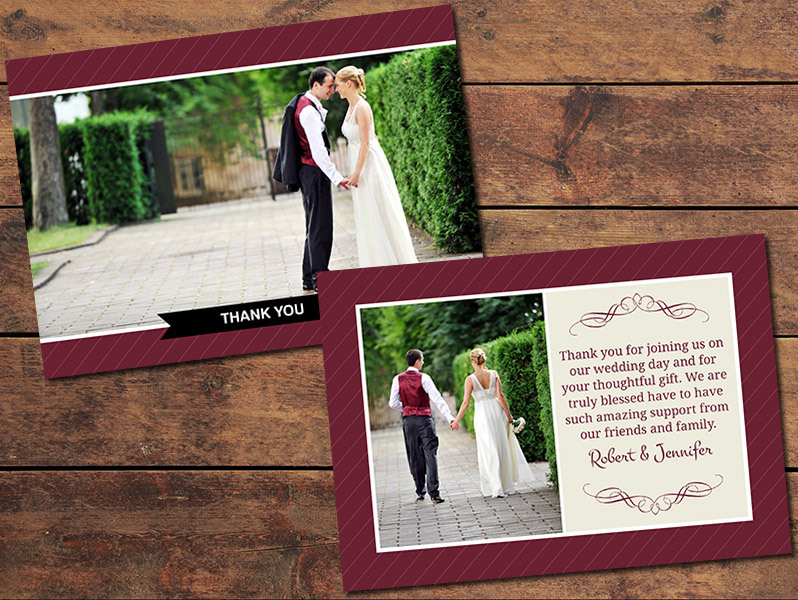 With this template you can easily create the thank you cards featuring your own photos. The template is for a 5 x 7 inch printed card, with both a front and a back design. Just insert your photos (it’s easy with the help of Photoshop’s clipping masks – documentation included in the download) and change the text as needed. The template comes in layered .psd format and you can use either Photoshop or Photoshop Elements to work with the template.